BlackBerry Gemini coming to T-Mobile in Q4 | BlackBerry Blast! 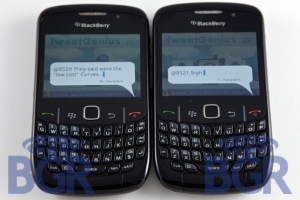 The BlackBerry 8520 Gemini is going to be released at T-Mobile in the 4th quarter of this year, according to a report by BGR. You know the BlackBerry 8420. The one with the optical trackball? According to all accounts this phone is a winner although it does not support 3G. This is a base line model that will only support EDGE. That's a deal breaker for us, but someone out there might want one.